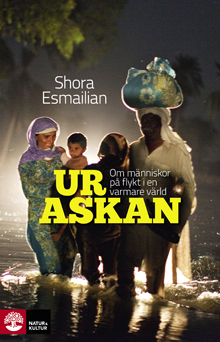 Boken är den första monografin på engelska om Irans moderna arbetarrörelse och är skriven tillsammans med Andreas Malm. ”An insider’s account of Iran’s people, its politics, and the threat of invasion. This is the first book to explore the changes taking in place in Iran from the ground up. While the world keeps its eyes riveted on Iran’s nuclear programme, the Islamic Republic has gone through a crisis of its own. This book shows how soaring unemployment and poverty has given way to social protest. A new labour movement has come to the fore. Although strikes are banned, workers are beginning to organise and underground networks are challenging the rule of the mullahs from within. Louis Proyect del 1, Louis Proyect del 2, DN, Socialism Today, In Defence of Marxism, Offensiv. Läs intervjun med oss om boken på No Sweat. Läs mer om boken på Pluto Press.